Sheep, Dog & Wolf Album 'Egospect' Released Today! Lil' Chief is pleased to announce the release of 'Egospect' by Sheep, Dog & Wolf. Sheep, Dog & Wolf is the most recent addition to our roster - and is the project of 19 year old multi-instrumentalist and producer Daniel McBride. Sheep, Dog & Wolf will be playing an Auckland album release show tomorrow night (Saturday) at The Golden Dawn in Ponsonby - and will be on stage at 10pm! Having already attracted the attention of a number of booking agents and promoters in Europe due to the online stir created by his first e.p Sheep, Dog & Wolf will then be embarking on a European tour. The Eversons release Creepy single in English & Japanese! 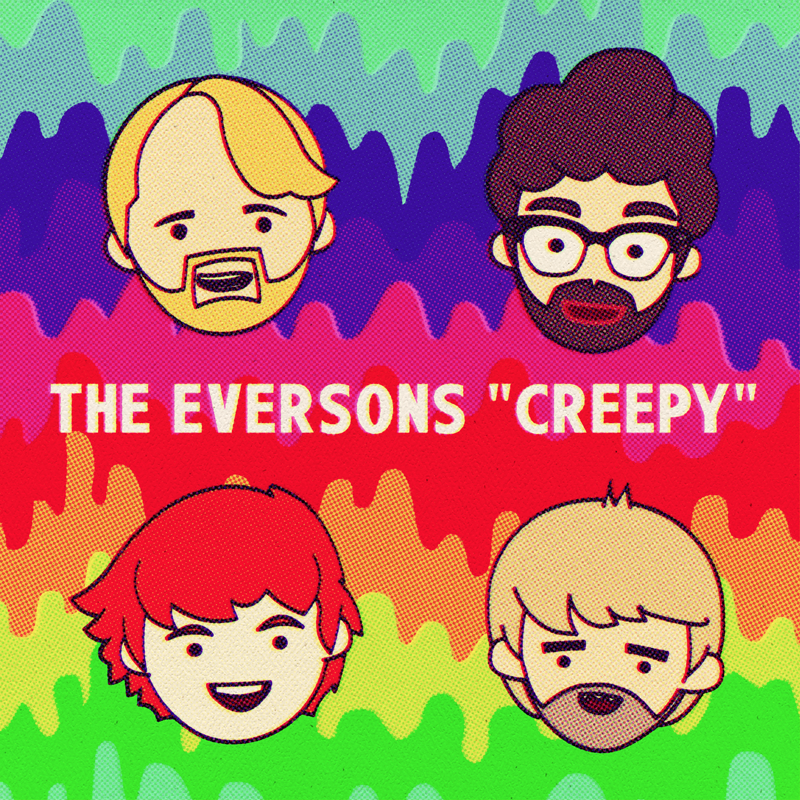 Today the Eversons release their song 'Creepy' as a pay what you like single. The single has a really cool new song on it called 'Stick Around' and a version of 'Creepy' sung in Japanese. There's a music video for the Japanese version as well directed and animated by Hadley Donaldson. New single from a new artist - Sheep, Dog & Wolf! Lil' Chief Records is pleased to announce a new addition to our roster - Sheep, Dog & Wolf. Sheep, Dog & Wolf is the solo project of nineteen year old multi-instrumentalist, Daniel McBride and his first album Egospect - is out on Lil' Chief Records on August 23! The first single from Egospect - 'Egospect' is out today with a video directed by Ali Burns and Daniel McBride. You can pre-order Egospect on cd & vinyl and digitally ! aswell a debut performance this Friday 9 August at the Kings Arms with Princess Chelsea, The Eversons & Disciples of Macca!